FANBOY PLANET.com . 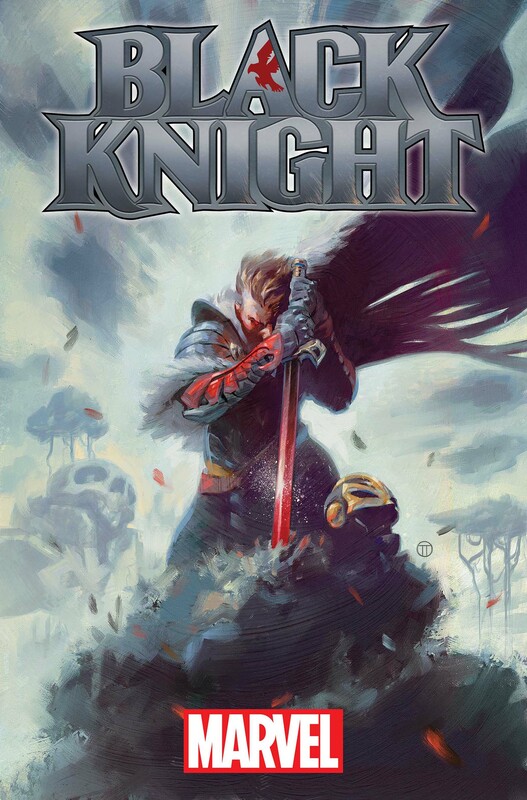 : Black Knight Announcement :. Wait a minute... Weirdworld will still exist after Secret Wars? Marvel has me so intrigued, I'm getting a little irritated at the books that are holding my interest. There's something I've always liked about the Black Knight, though it's hard to say he's been a major player. But if you throw in Weirdworld, with Morgan Le Fey (Queen of it in the current Weirdworld book), possibly Arkon, and definitely (please definitely) the Crystal Warriors, you've got a superhero book that won't really look like a superhero book, and truly be All-New, All-Different. I'm going to give this one a look. Their legend echoes through history. Ancient warriors and wielders of the legendary Ebony Blade. Champions of their own destiny. But what do you do when it’s your destiny…to be damned? Find out this November as the creative team of Frank Tieri (Wolverine) and Luca Pizzari (Red Skull) bring you BLACK KNIGHT #1 – a brand-new ongoing series launching as part of All-New, All-Different Marvel! Forged by ancient magic, long has the Ebony Blade granted its user the powers of the Black Knight, passed down through the centuries. But all power comes with a price, as each and every Black Knight has met an untimely end – a victim of the blade’s curse. Will Dane Whitman’s fate be the same? The long-time Avenger’s addiction to the blade grows stronger and stronger every day. Will he succumb to its power and suffer the same end? A lost man himself, Dane now finds himself in Weirdworld, the place where all lost things go. What are the circumstances that brought him to this strange place, so far from the world he called home? And what could he possibly have done that would cause the Uncanny Avengers to mobilize against him, a man they called friend? See the Marvel Universe from a whole new angle this November as Tieri and Pizzari take Dane Whitman to the depths of Weirdworld and beyond in BLACK KNIGHT #1!